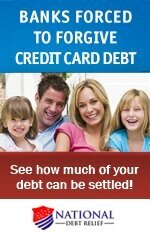 Too Much Debt ... Are you in Over Your Head with Credit Card Debt? This advice article about having too much debt and being in over your head was submitted by site visitor Christina Pursley of Nevada. 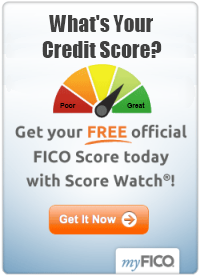 Many people think having a lot of credit is good. Well, I beg to differ. I was in a bad credit situation about two years ago and had a load of debt - way more than I should have had. It started like a typical scenario. We all do it — apply for a credit card, that is. It all sounds good when you are in the midst of doing it. The marketing messages and appeal of the zero-percent interest rate. Then, it turns into a twenty five percent interest rate. It's a new ballgame and it's tough going. So, here's my tip: Don't apply for credit just because you know you can get it. You likely will end up with too many cards, and not enough money to pay them. Many people also think, "We are making good money, we can afford it." What happens next? You might lose your job. Once you lose your job, you get behind on your credit card payments. They keep piling and piling up, until there is no way to get them paid off. Then you have to balance whether you should just try to pay them, or are you at the end-point where you should file bankruptcy. Most people think bankruptcy is a bad thing. In my opinion, bankruptcy can be a viable option and help you start fresh (albeit with some credit baggage). My best advice would be to only have one credit card, and use it sparingly. That way you won't have an excess of debt that you cannot manage. Use your card for gas, then pay the balance off each month. Paying your balance off each month keeps you from over spending on a credit card. If you pay off your credit card, then you save a lot on interest. Conversely, if you just pay the minimum balance every month, you add more and more interest to the balance you owe. And, it gets harder and harder to "dig" out. I say just be smart when it comes to credit. You need it, but not a lot of it.